Helen and I went out yesterday on a run up to Hartside and back down via the North Yorkshire Dales. We left home at around 9:00am and headed up to Clitheroe Services via the M66/A56. We stopped briefly at the Services for fuel and then continued on the A59 towards Skipton. As usual we got off at Sawley and then headed via Wigglesworth and Rathmell to Settle. 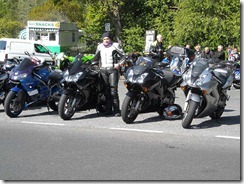 We didn’t go into Settle and instead joined the A65 and headed over to Devil’s Bridge at Kirkby Lonsdale. After a short break we left and headed up the A683 towards Sedbergh. Just before Sedbergh we turned off onto the B6257 and followed that to the junction with the A684. We then had to do a right and then a left after a couple of 100 yards to rejoin the B6257. We followed this road for a while and went under the M6 and then joined the A685. We followed alongside the M6 on the A685 and soon arrived in Tebay. In Tebay we joined the B6260 to Orton and then joined the B6261 and headed over to Shap. We passed under the M6 again and then joined the A6 and headed towards Penrith via Shap. Just outside Penrith we joined the A686 towards Alston, which we followed all the way to Melmerby. Just after Melmerby A686 start to climb and twist back and forth as you head up to Hartside Café. I had a decent run up Hartside and only got held up once on the very twisty section by a campervan. Considering it was a bank holiday Monday the roads were pretty quiet. 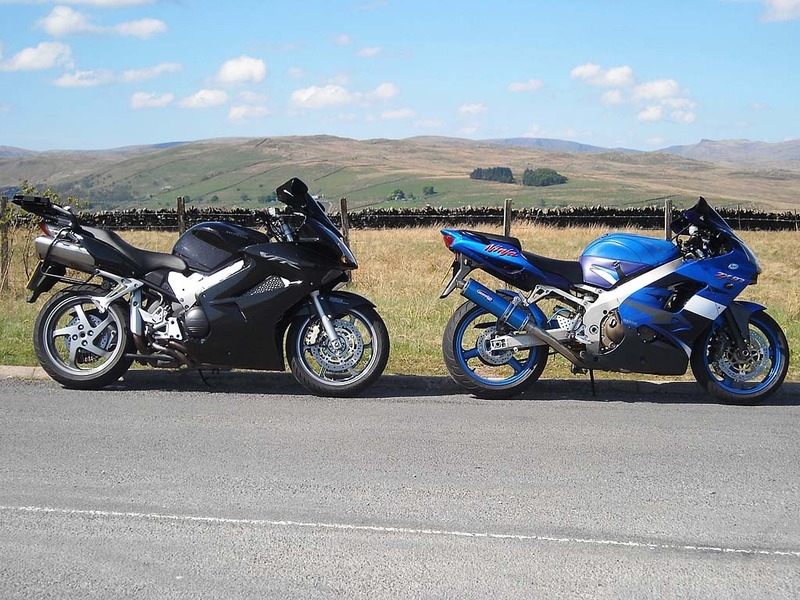 We soon arrived at Hartside Café which was pretty windy, so we parked the bikes up to lean against the sidestand in the wind and then had a spot of lunch. We left Hartside Café and then dropped down into Alston on the A686. In Alston we turned right onto the B6277 and followed that all the way to Middleton-in-Teesdale. In Middleton we turned right again and joined the B6276 and headed to Brough. We stopped in Brough for a quick comfort break and managed to get to grips with a nice Ginger Tomcat. We left Brough on the A685 and stopped briefly in Kirkby Stephen to fill up with fuel. 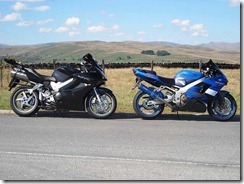 We left Kirkby Stephen on the B6259 to Nateby, then joined the B6270 there. 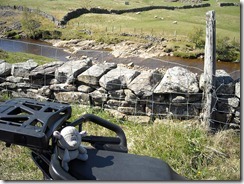 We passed over Birkdale Common before dropping down to Keld and then went on to Thwaite. 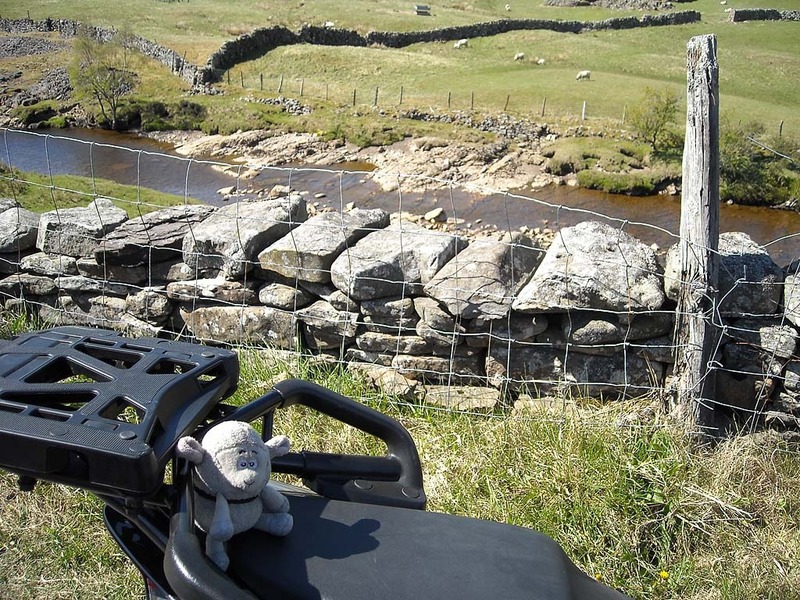 From here we passed over Buttertubs Pass and then dropped down into Hawes. We didn’t stop in Hawes and proceeded to Settle via Ribblehead Viaduct on the B6255 and B6479. We arrived in Settle after a while and stopped to get an Ice-cream at the Naked Man Café. We left Settle after a while and headed back home on our usual route to Sawley via Rathmell and Wigglesworth. Then we joined the A59 towards Clitheroe and then turned left and went over Sabden. We then joined the A56 and M66 on our way home.